The American Kennel Club (AKC) recognizes over 150 different breeds of dog, and there are dozens more that do not make the list. 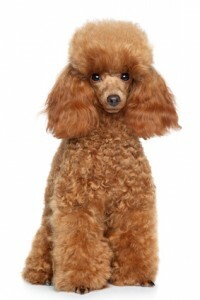 Each and every breed is unique from the others not only in appearance and personality, but also in their biological make-up. If you want to provide your dog with optimal nutrition, you should select a diet that caters to his specific needs. Though dogs are often described as carnivores since a significant portion of their diet comes from meat-based sources they are actually omnivores. While protein is incredibly important for a dog’s health and nutrition, other nutrients including fats and carbohydrate are necessary as well. If you take a stroll down the dog food aisle at your local pet store, you are bound to find dozens of different options – so how do you choose? The only way to choose a healthy food for your dog is to understand the basics of dog nutrition and to find a food that provides for your dog’s needs. The most important nutrient your dog needs is water – water actually accounts for up to 70% of your dog’s total weight. In addition to providing your dog with fresh, clean water at all times you should also make sure that your dog’s food has a decent water content. The next most important nutrient is protein – this should compose between 15% and 30% of your adult dog’s food (22% to 32% for puppies). Protein is essential for maintaining your dog’s bones and muscles – it also provides him with energy. Next on the list is fat – your dog’s food should contain between 10% and 20% fat from healthy sources like fish and fish oil. 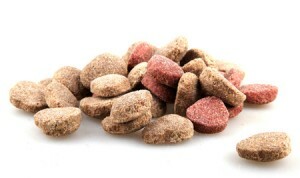 Finally, your dog needs some carbohydrate from vegetables to provide fiber as well as essential vitamins and minerals. If you have researched the nutritional needs of your specific breed, you may have come across certain breed-specific dog food formulas. Dog food manufacturers like Eukanuba and Royal Canin have begun to market these products for owners of specific breeds to make their choice easier. The main benefit of a breed-specific food is that it is formulated to provide for the nutritional needs of your specific dog. Highly active breeds like Siberian Huskies and German Shepherds may require a higher fat content for energy than other breeds and some dogs do better with hypoallergenic formulas due to food allergies. While you don’t necessarily have to purchase a breed-specific formula for your dog, it is definitely an option to consider. When it comes to your dog’s food, the choice is up to you. With all of the options available, it can be difficult to decipher whether one brand is truly better than another. If you have absolutely no idea where to start, you may want to consider a breed specific dog food for your pet. In this section you will find a collection of articles to provide you with information about selecting a breed-specific food for your dog, should you choose to do so.